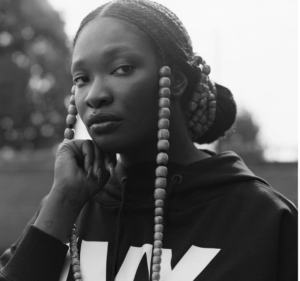 Fashion stylist & creative consultant, PC Williams is a graduate from Central Saint Martins (where she currently holds a position as Associate Lecturer). Working across advertising, fashion, music and narrative moving image, her obsession with global youth culture and subculture is evident throughout her work and has led to her forming relationships with leading youth culture brands. She regularly contributes to a vast range of style publications including Vogue.IT, Hunger, Wonderland, The Fader and Twin Magazine. As a costume designer her credits include BAFTA TV winning Dreamlands & Powder Room, as well as commercials for clients including Adidas, Apple, Dove, Global Goals, Nike, Nivea, O2, Pandora and Stella McCartney. PC also works as stylist for personalities including Alma, Lil Kim, MNEK & Stormzy.